Act Early Texas! (AET!) 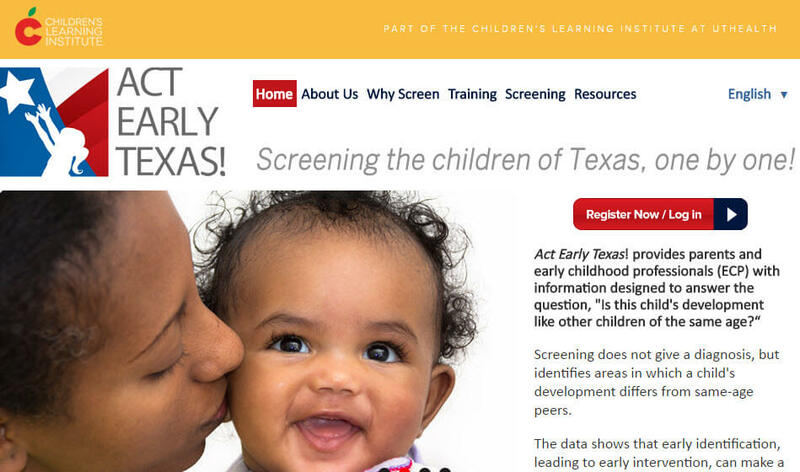 provides online screening tools to allow parents and early childhood (EC) professionals (ECP) the opportunity to conduct free developmental screenings on young children in Texas.